If you want to make a gorgeous homemade present to give someone at Christmas, Tattered Angels have some beautiful products to create with. The base of this wall hanging, is actually a 12" x 12" stamp. 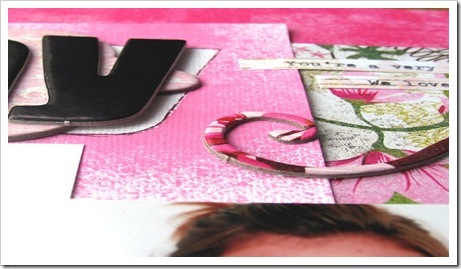 By using permanent ink, the image can be stamped onto transparency and layered upon. Steph then used the new Tattered Angels Bingo Cards as her base and built layers on top of that. Using the Tattered Angels Glimmer Chips Steph sprayed it with different color Glimmer Mists and added White Glimmer Mist to give her embellishments a soft look. After adding a few extra embellishments, you can punch two holes in the top of the transparency, add ribbon and you have a Christmas Pressie ready to hang !!!!! One of Steph's not so secret addiction is Tattered Angels Products. What she loves the most about the product is the saturated colour that you can get by using the Glimmermists on your layouts. Here Steph has used Mimosa, Lemon Zest and Lime Twist to enhance the Autumn theme of the layout and the title "Grow". Steph has got an old piece of music sheet and crumbled it up into a small ball. Once opened out flat she has sprayed the Glimmermist in light mists, in all the different autumn colours over her sheet. Then Steph used a paper towel to dab and mix the colours together, drying the Glimmermist as she goes... She then sprayed the Darker Mists into puddles and left them to dry. The effect of this is amazing. To finish off, Steph inked key areas and tears little bits of the edges just to give it that well worn look. Next Steph coloured the Glimmerchips in the leaf shapes, leaving puddles to dry, so it looked like dried rain. 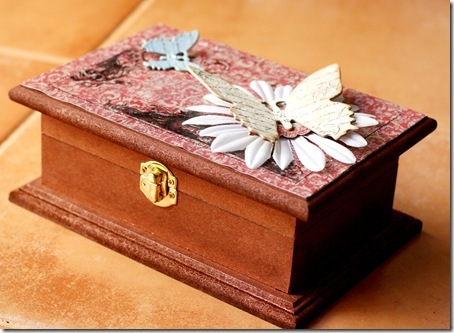 She used the same process for the Glimmerchip Butterfly and Ornate Frame. The gorgeous trees were used using the Tattered Angels "Blossom" Stamps, stamped onto the course side of laser ink acetate. She used two techniques here. The green tree was sprayed Glimmermist so it puddled on the stamp. She the used a wipe to wipe the edges around the stamp, and flicked any excess fluid onto a scrap piece of paper. 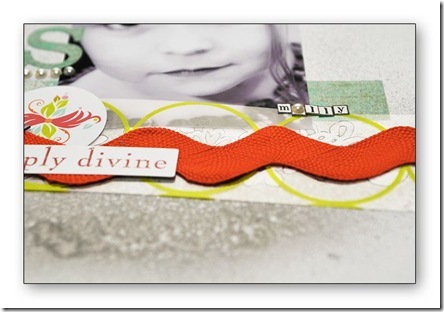 When she stamped the orange tree, she used a Versa Cube ink and left to dry. You can see two very different images using the same stamp, one has a defined, crisp look, the other and watercolour feel to it. The TA alphas were sprayed and then inked around the edges for depth. It's no surprise that we have a lot of Nic Howard's projects in our Tattered Angels post, Nic discovered Glimmer Mist in the middle of last year and hasn't been able to stop using it since! 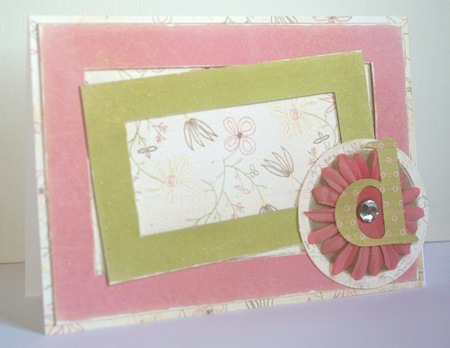 This layout was created on white cardstock. and was embellished with Glimmer Mist. Nic placed a glimmer screen on her page and then sprayed 'brick' coloured glimmer mist across the cardstock, lifted the glimmer screen carefully and a shadowed image was left behind. She then sprayed the same glimmer screen with 'garden ivy' and used it as a stamp on her layout, leaving a green image. 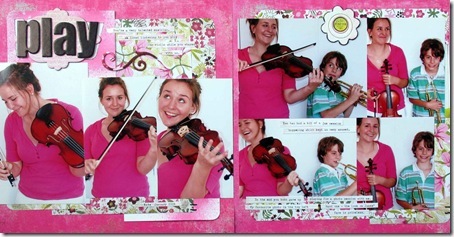 She repeated this technique on a spare piece of white cardstock and cut the image out, adhered across a photo and her layout was complete - aside from the title, which is also from Tattered Angels. So simple, yet so effective! 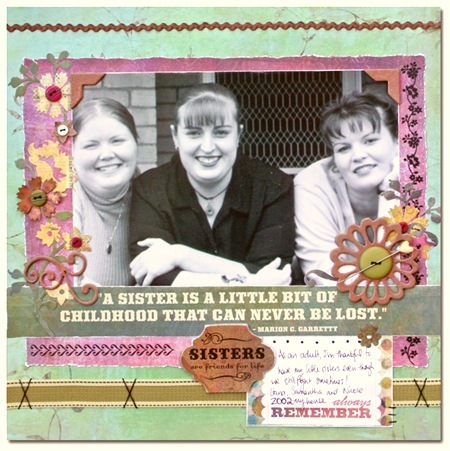 With exception of the black Rose Moka paper and the white cardstock, this layout is almost all Tattered Angels product. 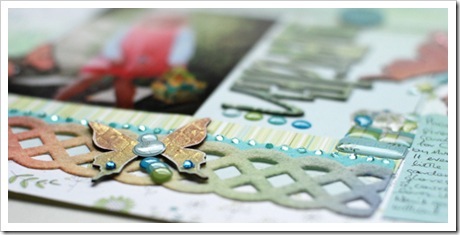 Nic used a Glimmer Screen as a stamp, creating a flourish image which she then cut out and adhered to her layout base. She added a shipping tag and hero arts flowers, which had both been glimmer misted, as well as a stamp from the Tattered Angels range. Nic finished her layout with some Glimmer Glass in the regal range , gorgeous pics of her son and niece and alphas to finish. We thank Janine Koczwara for allowing us to share these three stunning examples of using Glimmer Mist to transform already beautiful pages into stunning ones. And finally a little piece of Ngaire Bartlam fabulousness! Ngaire has Glimmer Misted over the top of a sheet of Heidi Swapp’s invisibles to create this wise and striking piece. Over the course of the next ten weeks we’ll be starting the week by bringing you even more fabulous inspiration from our design team. Each week one of us will be sharing the tips and tricks of our current favourite new products now that we have just about all the releases from CHA Winter in store. We start with me (Suz!) and I have made no secret of how much I love the amazing rainbow range of colours that are the Tattered Angels Glimmer Mist sprays. 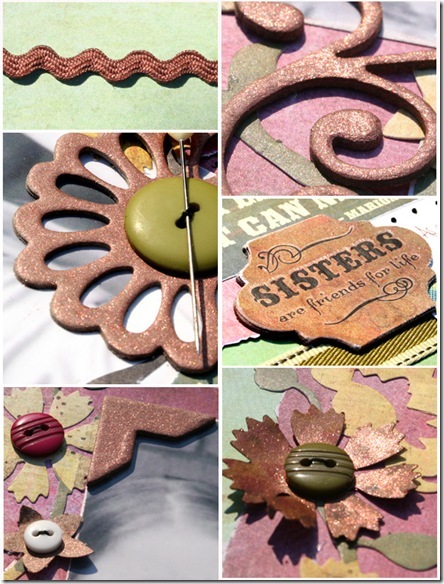 Tattered Angels are expanding their range with all clever things Glimmer Mist and beautiful. They have had Glimmer Screens like the ones above out for some time in a range of beautiful designs like flourishes and butterflies, but now they’ve taken the use of screens like this, literally to the next level. First you use the screen on your project and spray Glimmer Mist in colours of your choice to customise and personalise your page. And then… you take these amazing all new stamps that co-ordinate with the Glimmer Screens and stamp all the detail missing from the design to create a whole new look. 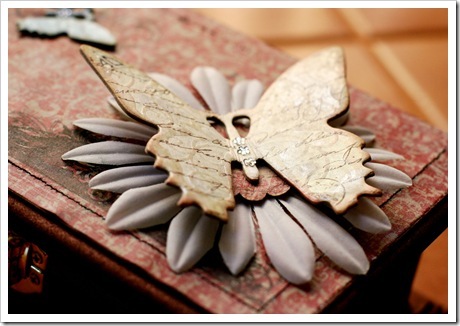 These stamps are clear acrylic and fantastic quality – the level of detail in the designs will take your breath away. Frankly, I think this product range is a stroke of genius by Tattered Angels. Designed to be used with their core product - the Glimmer Mist sprays - these products are versatile enough to be used over and over in so many different ways and colour palettes. The Glimmer Screens contain designs for both the clock, compass and fob watch, and the stamps are packaged so that you can choose between the clock detail complete with separate hands (so you can make it any time you want) and the beautiful posts that you can choose to hang the clock on, or the compass with arrows hands. They also come with a plastic stamp mount so that everything you need is in the package. There is also a divine tree which has two co-ordinating stamps designed to be used with it – a stylised flourish-y tree and another with more natural detail. Both are simply gorgeous. My first project uses the clock Glimmer Screen and Stamp. I love the way the screen allows the white of the cardstock to show through and stand out and though it’s beautiful even on its own the stamp adds another level of detail and refinement. Here I have stamped the design straight onto my cardstock but also stamped the clock onto separate cardstock, which i have Glimmer Misted and given an aged look which was one of those happy accidents that started out a mistake. After stamping and Glimmer Misting the clock i covered it in Dimensional Magic, and too impatient to wait for it to dry on its own, I turned the heat gun on it. It started to bubble and warp and crack and, interested to see how it would end up, I kept going. I love the range of texture that resulted. Though the stamps come with clock hands, I chose to use a Tim Holtz game spinner instead, a subtle, subliminal reminder of the message of the page, to take more time to play. The quote itself is backed and stitched onto patches of paper that have also been Glimmer Misted in various shades – in fact, no patterned paper has been harmed in the making of this layout! The stunning compass stamp has been used on its own on this page, to both add to the slightly nautical nature of the photo as well as the ‘direction’ theme of the page. The beauty (and slight scariness!) 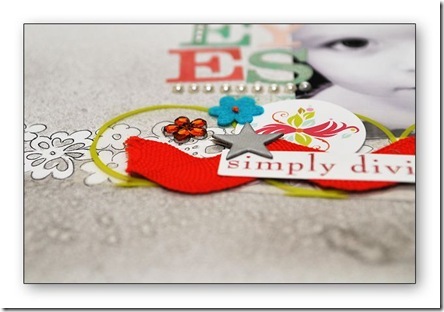 of stamps is that you can use them directly on a practically finished layout, tying lots of elements in together just by stamping on all of them. I have used the same brown chalk ink to stamp the image as i have to edge the Marrakesh patterned paper, SEI Lace paper (which has also been Glimmer Misted to a divine metallic finish) and chipboard elements which also helps to tie it all together. I have repeated the circle theme several times in a cluster which always pleases the eye – and note also the detail of the Heidi Swapp mirror circle which also received a portion of the compass stamp with Stazon ink. Finally, I share this mini album which was created to celebrate my mother’s side of the family emigrating from South Africa to Australia in the 1950’s, after the values of apartheid made it impossible for people with conscience to remain in their home country. Obviously both the compass and the clock themes suit the nautical and historical nature of this album, and I had a fabulous time making puddles of Glimmer Mist on the pages of the sturdy Tattered Angels album to create glorious aged and distressed looks. 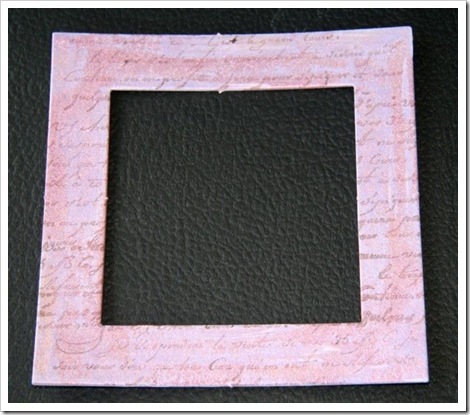 If you mask the centre of the Compass stamp it would make a fabulous accent in which to journal inside the frame. You can turn the Glimmer Screen over after you’ve used it - when it’s covered in Glimmer Mist – and use it as a stamp. I added salt to the last couple of pages shown in these images whilst the Glimmer Mist was drying to create another fabulous texture. There are so many fabulous ways you can use these products I reckon I could make a book about them, but apparently, for now, I have to stop here! Tattered Angels release some beautiful new products - limited edition Glimmer Mist colours, fabulous Glimmer Chip fonts and more...! 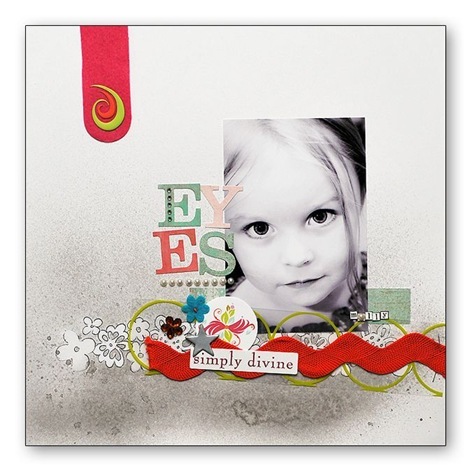 You may have seen this layout already in Creative Paper, but we love it so much we thought we'd share it again as a beautiful example of Tattered Angels products. Though this is a simple enough page to look at at first, there are lots of details here we wanted to share with you. Suz has used the Glimmer Chips - the large beautiful flourish and corner from the Cocoa Regal pack and check out the lantern she has used - the back has been covered with dimensional magic and then she has adhered a mixture of the Pink Paislee glitters so that the lantern pattern can be seen from the front, and the glitter sparkles from behind. The Grungeboard title has also been covered with glitter which she has then sprayed with Suede Glimmer Mist to create an antique glitter look. Note also the touches of Queen & Co felt fusion for added colour and a whole different texture. if you are looking for an elegant feel to your LO, then look no further than Tattered angel glimmer chips. 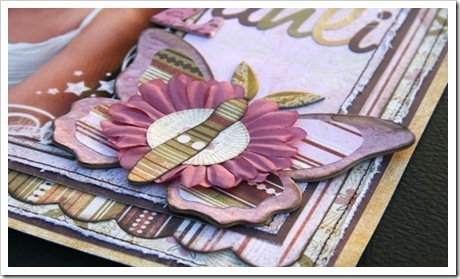 These beautifully designed chipboard embellisment are a gorgeous addition to any scrapbook page. Jaimie used the cocoa regal glimmer chip shapes on her page as subtle embellishments and sprayed glimmermist pearl then silver over the HS velvet flower to give it a little extra shimmer all complimenting the photo of her daughters awe at their Christmas tree. Tattered Angels have just released another exciting product to their collection, and Steph had the chance to play with it. Glimmer Glass is a beautiful, transparent embellishment which adds glamour and layers to your layouts. Here Steph painted the back of the butterfly Glimmer Glass with Sparkling H2Os to change the colour of the glass. She altered her Crown Glimmer Glass with Jewels and used Glimmer Mist on the wings to give the impression of more depth of colour. 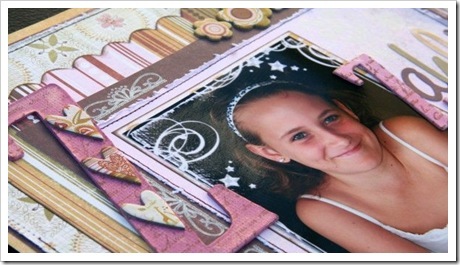 Steph can't get over how easy and much fun Tattered Angels products are to create with. Its always lovely to do something a little different when creating your layouts, Carole used the Denim Blue Glimmer Mist and Glimmer Chips by Tattered Angels to highlight her layout. 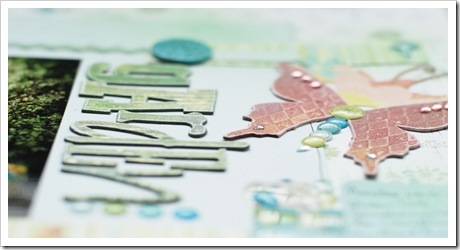 She sprayed the Glimmermist onto the Glimmer Chips and then embossed with Matallic Ink by Encore. She added the Jenni Bowlin Brown Transfer Brown Flower and Vine and Grafton Draft Surf Leaf pattern papers to compliment the Blue of the Glimmermist. First, I made sure that only the front cover was showing. I Iaid the album open and flat with the cover on the right side. I covered the left side of the album with a gallon size zip lock bag to prevent overspray from getting on the rest of the album. I then sprayed Seafoam Glimmer Mist on the cover and using my brayer, I smoothed the color evenly over the cover. I then dried it with my heat tool to speed up the process. Second, I took Olive Vine, Suede, Gold and Turquoise Blue Glimmer Mist and did a medium mist of each over the entire cover. After letting the colors settle a bit, I then mottled the colors together by taking the album in both hands and moving it from left to right and up and down. This allowed the colors to blend together a bit. I then used my heat tool to not only dry my album but also move the puddles of glimmer mist through out the cover to create streams and veins. Third I laid a thin coat of Patina Glimmer Mist on selected areas giving the cover an additional aged effect. Last, I took coffee shop, suede and Creme de Chocolate and individually sprayed each color into a baby wipe and blotted the color onto the edge of the album. I rotated the colors to give depth. For the title, I put Platinum glitter glue on chipboard letters, dried it with my heat tool then with a watercolor brush, I used Patina Glimmer Mist and painted over the glue. This made it nice to be able to customize the color of the glitter. This stunning treasure was created by Tattered Angels design team member Cheryl McAdam using one of the gorgeous Glimmer Glass Nature Album kits, alongside Glimmer Screens. 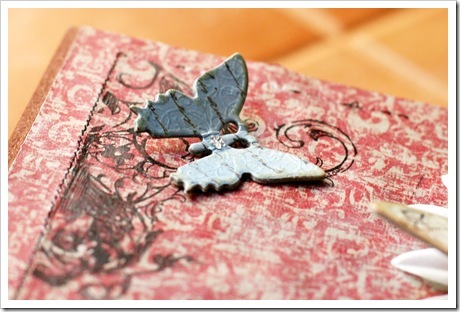 Thanks Cheryl for allowing us to share some of the images of this wonderful keepsake album. And lastly, Michelle Jackson created this stunning diorama using the Frosty Memories Glimmer Chips. 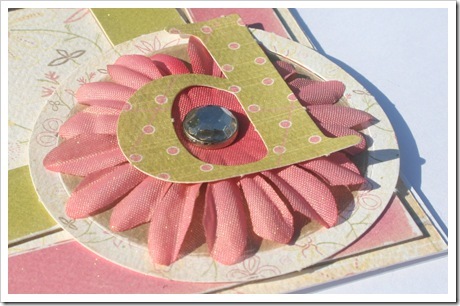 She says.. "They look great on cards and layouts, but they can also be the entire focus of a project. These Chips come from the stamped line, which is navy blue printing on the ivory chipboard. Don’t want blue? That’s where the Glimmer Mist comes in! On this project, I used a mix of Forest and Meadow Green, and Creme de Chocolat. Instead of misting directly on the Chip, I painted the Glimmer Mist on with a paintbrush. That gave me the control I wanted to paint specific areas. I also used watercolor markers to add more texture on the Chips. When you color with the markers, then apply the Glimmer Mist, the Glimmer Mist really helps to blend the marker colors, and soften any hard lines. "Another fun detail is the Frosty Memories Glimmer Glass wreath. First, I heated the Glass piece with my heat tool for about 4 seconds, until it became soft and pliable. I quickly shaped the wreath, as once it cools, it hardens very quickly. Then, I painted the back of the Glass piece with green acrylic paint, added a red bow, and green sequin leaves for texture. Painting the Glimmer Glass piece is a great, immediate way to make these pieces match any project you have."